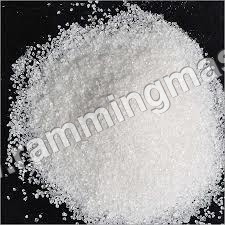 Silica Ramming Mass is widely used in the lining of the induction furnaces. The high quality of the ramming mass is connected to the heating efficacy of the furnaces. High quality lining results are attained in smooth working of the furnaces, best output as well as unmatched metallurgical control. The mass is developed from the pure quality materials with no adulteration from any kind of chemicals and other substances. Strict magnetic process is carried out to ensure to provide iron free material. This is developed to ensure accurate as well as proper composition of the granules as per the furnace capacity. The granulation of the mass is carefully optimized as per the furnace make as well as capacity ensuring maximum along with the best results. This ensures corrosion resistant along with wear proof structure owing to less binders, moisture as well as fire clay to plastic refractoriness.